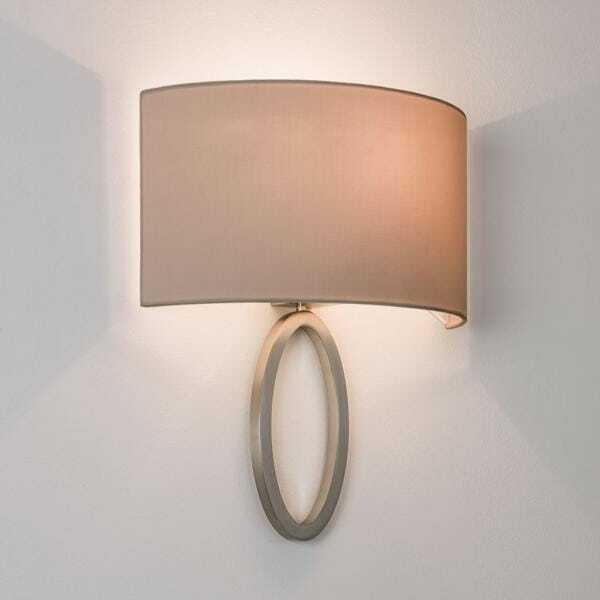 This contemporary style wall light has an unusual design featuring a flush ring fitting which has a half shade that fits flush to the wall. The fitting is in a matte nickel finish and comes with an oyster coloured shade, it can also come with a white or black instead. Should you wish to order this light with an alternative shade please contact us. The light can be dimmed if fitted with a suitable dimmer switch, this would look great in any modern setting and would be ideal in a room such as a living room or bedroom.